This is a Barefoot Contessa recipe that I adapted. It makes for a cooling dish in the hot months of summer. 1. Place the beets in a large pot of boiling salted water and cook uncovered until the beets are tender, 30-40 minutes. 2. While beets are cooking, prep the remaining ingredients. 3. Remove the beets to a bowl with a slotted spoon and set aside to cool. Reserve the cooking liquid and set aside to cool. 4. 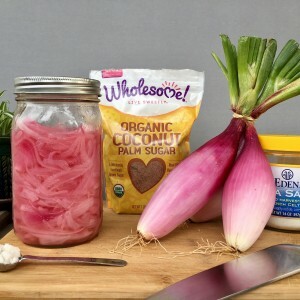 In a large bowl, whisk together 1 ½ cups of the beet cooking liquid, the stock, yogurt, sugar, lemon juice, vinegar, 1 tablespoon sea salt and the pepper. 5. Peel the cooled beets by rubbing the skins off with your hands. Cut the beets into a medium dice. 6. Add half the beets and half the cucumbers to the large bowl with the liquid ingredients. Puree the ingredients in the bowl with an immersion blender or in a regular blender. NOTE: Sometimes I puree all the ingredients instead of half. 7. 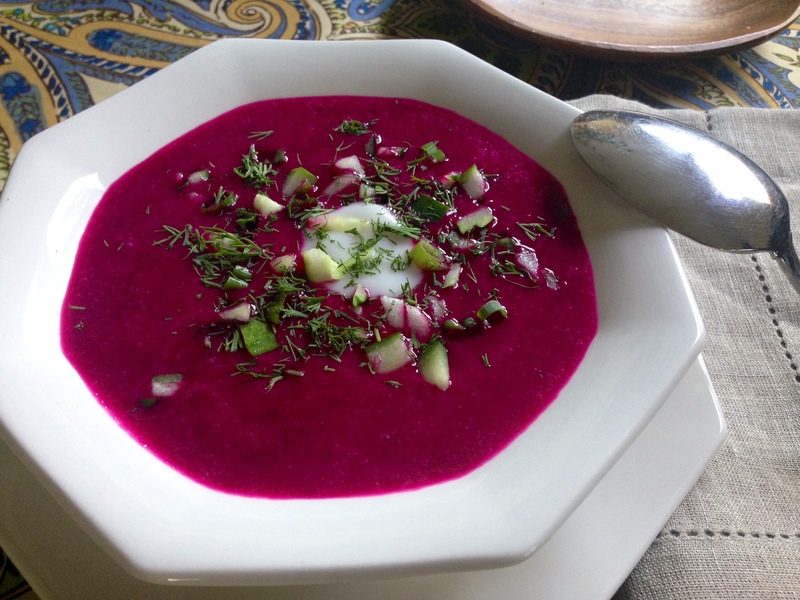 Add the remaining beets, cucumbers, dill and scallions to the bowl of soup. 8. Cover and chill for at least 4 hours or overnight. 9. Season to taste and serve cold with a dollop of yogurt and a pinch of chopped dill.